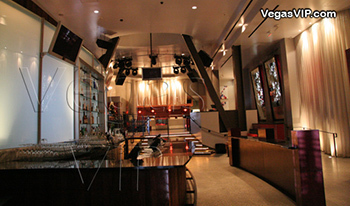 Risque Nightclub Las Vegas Located within the Paris Las Vegas hotel and casino, Risque nightclub is a great place to dance and drink the night away during your stay in sin city. 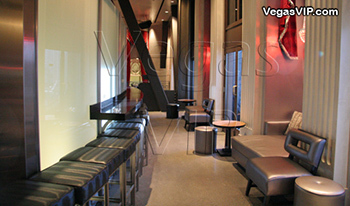 The parisian themed ultra-lounge is situated directly above the Ah Sin restaurant at the west end of the casino. From its elevated perch, Risque offers fantastic views of the replica Eiffel Tower and the stunning Bellagio fountain show. 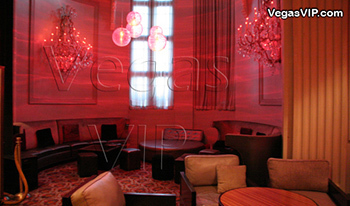 Risque nightclub at Paris Las Vegas has a layout which provides both secluded seating and a dancefloor surrounded by tables and booths that put you in the middle of the action. 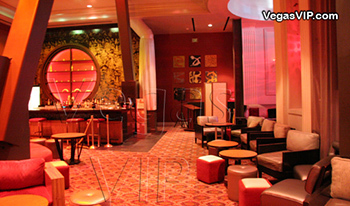 There is even a separate lounge offering a more relaxed playlist for a late night rendevous. The bartenders and waitress staff is top notch and always quick to make sure your glass is never empty, while the club's security makes sure that the night runs smooth. The main nightclub is dominated by a modern, industrial décor with exposed beams from the mock Eiffel Tower and classically plush furnature. The Risque nightclub resident DJ keeps the crowd dancing to the beats of top 40 music with a random injection of funk and house tracks. One thing is for certain, your experience at Risque Las Vegas will transport your senses to a place that you would not associate with anything Las Vegas. As you exit the main doors and see the 50 story Eiffel Tower, you may want to rub your eyes and pinch yourself.